Very responsive team, a good experience overrall. Would recommend to all. I was looking for a vendor to develop my portal for hotel reservation with unique designs and including two properties, one palm villa and next my hotel. I was able to get the development done the way I wanted and their friendlier approach was something made me flexible and comfortable to move along with. Also Project Managers and technical executives were prompt to respond to my queries and fortunately i had my support through whatsapp too. Nice team, Good Job. Role: Senior Manager Business Development & Client Services at Aspiring Technologies Co. Ltd.
Webnexs proved to be the company that we're looking for, to develop our dream project for a multivendor ecommerce platform. They've understood our needs and delivered the project beyond our expectations. Satisfied with Webnexs, expertise, professionalism and communication, surely can help the business. Their team gave out of the way support to complete project on time with great product quality. Looking forward to work with you again. Thank you! completely satisfied with the webnexs team work for developing a best website for our firm. Though communication was the biggest problem, but the team had managed to provide the full support even on holidays. we are happy with the design and ideas provided by them and the way of initiation is truly amazing. I have been dealing with webnexs for my (undisclosed) based Web platform. Initially, I found it difficult to get along with the team, getting to understand and settle the way we both would operate(because I was sitting 2500KMs away from them). But gradually, it was smoother for me and its good with their team. David and Kavi were good enough to do all the changes, as I required. Mahesh was there to discuss all the issues in every detail related to my website. This company is good and better in communication and they are trying best to get me satisfied. A couple of months before, I decided to start a business but had no idea where to start. Upon much thought and consideration of our current technology, I decided to start with a website. I have created and made many websites on my own, this time I decided I wanted to invest in a professional service. I scanned the web, researched sites and came upon a pretty impressive site, that moved me, as I scrolled through the pages, I came across the creator, Webnexs. To me, creating and building a website can be so stressful, but with Webnexs, it never was. Upon contacting them initially over the phone, I had a face to face meet at my work place with Mr. Bright Livingstone & Mr. Mahesh to evaluate their capabilities in building an online store. The professionalism and individualism of the customer service I received from Webnexs is unparalleled. To see that this web design company was able to create my vision on the web was incredible as they did not leave out any details and collaborated with me through the process to assure that I was completely satisfied. In summation, the website turned out, just as I desired it to be. It was a fruitful relationship with Webnexs and I would recommend them to be the masters of building Digital presences for your business. Its wonderful to have been on a journey with company like webnexs. They have been consistently doing great with my project power packonline. I have been mailing them on the queries i have and i can find their support team is awesome. They have comeback to me with a great support timeframe. They took hardly less than 8 hours to support me. I can plainly recommend them to all clients without any second thought. I have been also now hiring them for my digital marketing programmes. Their ideas on marketing is great and vivid. Their Timeliness, punctuality and technical soundness keeps them apart from others and i love their professionalism. Much Delighted with what webnexs supported for Tasteclub. I strongly recommend webnexs and team for Mobile App Development in iOS and Android. They are much capable and have delivered the project on time with zero lag in anything that we asked them to deliver. It was very much the version we thought to deploy in the market. We earlier had a vendor where we had a lot of deviations and we have to scrap the vendor and come to webnexs for our requirement. Our requirement was met with perfection. No stones left unturned to meet our requirement. I have also worked with webnexs for Digital Marketing. My Traffic was only 800 visits per day and I had a very poor checkout. Their skills helped our business to improve a lot in a vast segment. We did Email Marketing, Search Engine Marketing, Display Marketing, Youtube Marketing and it was awesome with them. Their dedication knew no bounds. We improved to 5000 hits per day with average time on site to 4+ minutes and bounce rate to 40%. Overall, I am very keen and interested in mentioning that their skills improved our revenue and popularity in the market. We did a lot and we have improved a lot. Webnexs rocked. I recommend them again here for Digital Marketing for Enterprise Businesses. Not to say any specific, but overall they are a very good team. Punctual and always deliver on time. The client is very satisfied with Webnexs because of their timeliness and development skills. They appreciate their willingness to work the efforts they put for making the project better. The client is the owner of an online store that sells cosmetics through their e-commerce portal. They assemble cosmetic products of different brands all across the world and display it on their e-commerce store. The client appreciates Webnexs on their technical skills and design skills. However, the client suggests them to improve a bit on their timelines. They also recommend Webnexs to partner with because of their willingness to make the project according to one’s requirements and not limiting themselves. It was a great experience working with them.I am happy to write a review about them. It is a place which helped my dreams come true. They helped on every step whenever we stopped on something. Developed my website in a very short time and still helping me to optimize my website.Thanks for all your support guys keep rocking. They did wonderful job for my business. Overall, i would say, this is just not less than a perfect team which helps the customers to use the technology that they deliver and not leave the customers middle way. Happy to have them as our development partner. The eCommerce platform developed by them in the form of a website provides an online store to purchase latest mobile phones at best prices. They provided us amicable support and also their pricing policy was reasonable. We are extremely satisfied with their services. We highly appreciate their excellent customer support. They also have a good team with technical expertise. Till now the experience is really good, we have not noticed any aspect where they can improve. Amicable team with tremendous technical skills. The client is an automobile trading company. They sell cars imported from Japan and also give cars on rent. Other services provided by them to their customers are tire changing, repair and maintenance services. They partnered with Webnexs to develop a website for their company. They are very efficient and knowledgeable in this field. The client is an IT company developing mobile applications and e-commerce projects. They wanted to develop an OpenSource e-commerce project for selling different products such as watches, telephones, tablets, and beauty & wellness products. 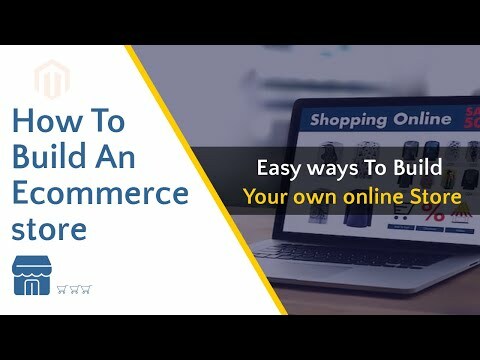 For developing this e-commerce store they partnered with Webnexs. The client is very satisfied with Webnexs because of their reliability and excellent support services and recommends them highly to their colleagues. Committed towards delivering a quality product. The client is a Christian organization telecasting religious prayers and activities in South India. They also organize different events to give knowledge about the importance of prayers and good deeds. To reach a large number of people through their prayers and events, they wanted to develop an online platform in the form of a website and Android & iOS based mobile applications. The client is very satisfied with Brighlivingstone because of their development skills. They appreciate their reliability and recommend them to work with. The client is a Chennai (India) based e-commerce website, Chatskart, for shopping cakes, sweets and games. They take online orders for delivery of Indian sweets, cakes and dry fruits for different occasions. They also sell a variety of games through their website. The orders are delivered across Chennai only. The client was looking for a company that could develop the e-commerce website for them. They came across Webnexs for the same on the internet and decided to work with them as the client was impressed by the ideas put forth by the Webnexs team. The client is highly satisfied with them and recommends them highly since they completed the project within the committed time frame and at a reasonable price. 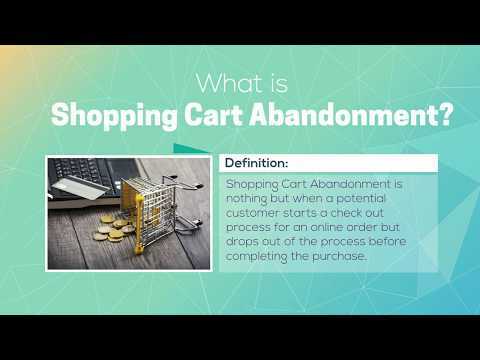 How could you manage your shopping cart Abandon? The company Webnexs was found in September 2015 and we’ve been catering to several client projects since then. Initially, we were two people who started the company and now we’ve expanded to a team of 10 professionals in a time period of 6 months. We have been successful in creating a strong reputation amongst our clients through our work. We provide our clients with Web Related Services such as Plugins, CRM, Email Templates etc. Webnexs provides a wide range of solutions through its powerful a software and scripts. Within a year webnexs have served more than 100+ successful business and keeps increasing more. Webnexs provides the desired level of professionalism in my company that is generally expected by the clients. Webnexs gives value to the clients in the form of services that they provide. Webnexs deals with different industries such as Fashion & Apparels, Automobile, Fine Arts, Food & Beverages, Hospitality, and Consumer Services.